As most of you probably know, Fiver's Honeycomb migrated to a new site a few weeks ago. While the posts and the profile data were successfully carried over to the new site, private messages were not. 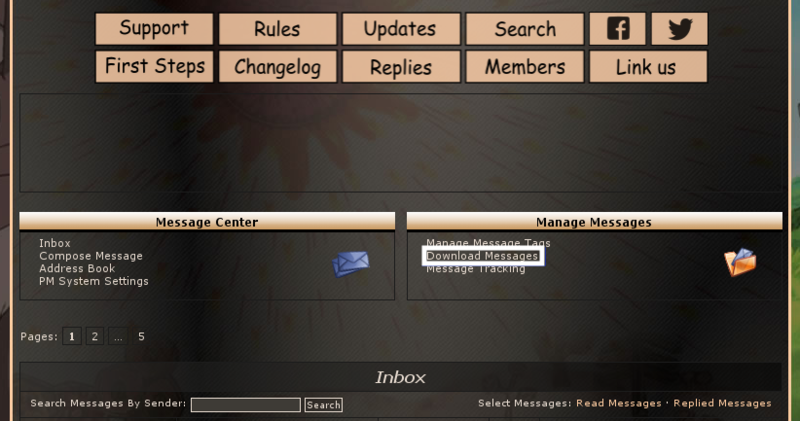 However, ZetaBoards offers a feature that makes it easy to download private messages automatically. If you haven't done so already, login to the old site, then go to your inbox (top right corner, next to "preferences") and click the "download messages" link. Make sure you select “all” for “download cutoff”. Important: this feature will NO LONGER BE AVAILABLE once the old forum is migrated to TapaTalk, which will most likely happen later this month. Following the migration, the only way to save your old messages will be to copy and paste them, one at a time.